1. Do NOT clear the shelves. If you find a great deal please don’t take all of the stock off the shelf. Leave some for other couponers and they will do the same for you. 2. Put unwanted products back where they belong. 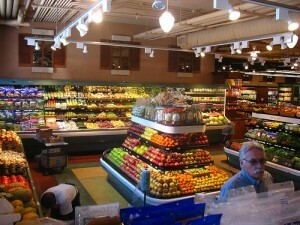 It can be frustrating for employees to find cereal in the produce section. Even worse is that it can ruin frozen or refrigerated food by leaving them at room temperature for too long. If you don’t want a product you already picked up, take the time to put it back in the correct location. 3. 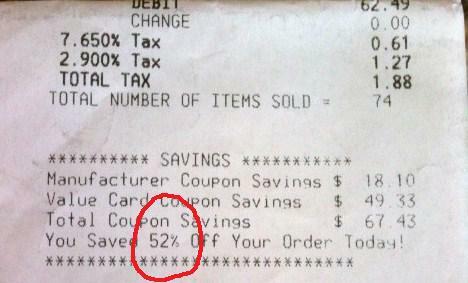 Leave coupons next to the products that you don’t plan on using. If you have a coupon for an item that will be expiring and you don’t plan on using it then leave it next to that product. It will save someone else money rather than being tossed in the trash. 4. Be nice to employees. Occasionally you run into the employee who gets the coupon policy wrong or an employee who rolls their eyes when you give them a huge stack of coupons; they are still people and should be treated with respect. Show them an abundance of kindness and win them over to your side. 5. Grab a cart from the parking lot to use. If every customer brought in a shopping cart then the store would not have to pay an employee to do that job. If they save money then they are more willing to pass those savings onto the consumer. 6. Do NOT steal all the peelies & tear pad coupons. You should only take off the peelies if you plan on purchasing the product right then, otherwise leave them for someone who will actually be purchasing the product. Also, it is ok to take a few tear pad coupons but don’t take the entire pad. 7. Let people with fewer items go in front of you in the checkout line. If you have a huge order with tons of coupons, be nice and let someone with less items go in front of you. By the time they are done you will probably still be working on loading up the conveyor belt. Also, don’t sneak in the 20 items or less lane if you have more than the designated number. If you find a good deal, pass it on. Also, be willing to share with family and friends how you save so much money, it could benefit their financial situation. Do you have any additional courtesy tip? Leave a commet.